Columbia (OV-102), the first of NASA's orbiter fleet, was delivered to Kennedy Space Center in March 1979. Columbia initiated the Space Shuttle flight program when it lifted off Pad A in the Launch Complex 39 area at KSC on April 12, 1981. 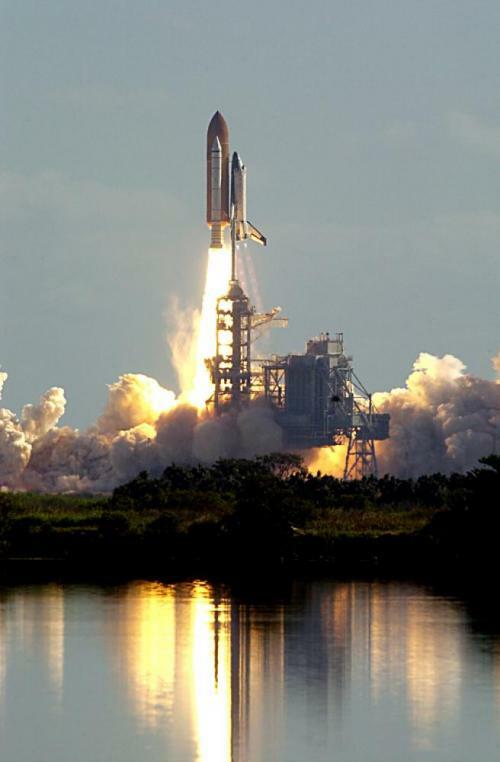 Jan. 16, 2003, at 10:39 a.m. EST, Columbia lifted off on time on the first shuttle mission of the year. It carried seven crew members, including the first Israeli astronaut, on a marathon international scientific research flight. KSC-03PD-0113 (01/16/2003) --- KENNEDY SPACE CENTER, FLA. - Through a cloud-washed blue sky above Launch Pad 39A, Space Shuttle Columbia hurtles toward space on mission STS-107. Following a flawless and uneventful countdown, liftoff occurred on-time at 10:39 a.m. EST. The 16-day research mission will include FREESTAR (Fast Reaction Experiments Enabling Science, Technology, Applications and Research) and the SHI Research Double Module (SHI/RDM), known as SPACEHAB. Experiments on the module range from material sciences to life sciences. This mission is the first Shuttle mission of 2003. Mission STS-107 is the 28th flight of the orbiter Columbia and the 113th flight overall in NASA's Space Shuttle program. Columbia breaks up over Texas. A seven-month investigation followed, including a four month search across Texas to recover debris. 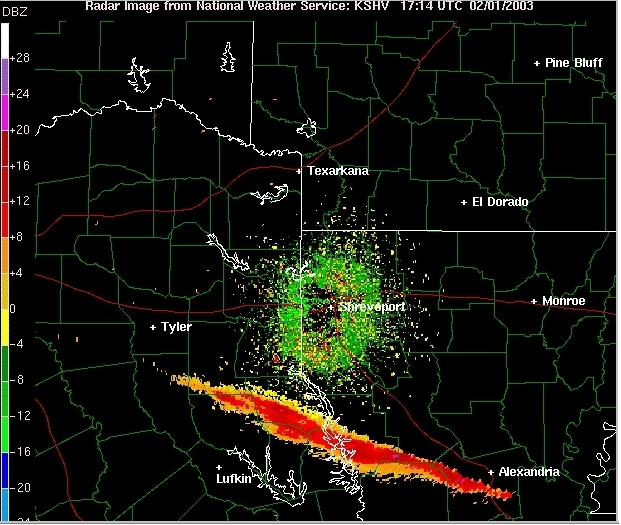 The search was headquartered at Barksdale Air Force Base in Shreveport, La. Nearly 85,000 pieces of orbiter debris were shipped to KSC and housed in the Columbia Debris Hangar near the Shuttle Landing Facility. The KSC debris reconstruction team identified pieces as to location on the orbiter, and determined damaged areas. About 38 percent of the orbiter Columbia was eventually recovered. The loss of the Columbia was caused by damage sustained during launch when foam insulation the size of a small briefcase, broke off the main propellant tank under the aerodynamic forces of launch. The debris struck the leading edge of the orbiter's left wing on the number 8 reinforced carbon carbon (RCC) tile, damaging the shuttle's thermal protection system (TPS). 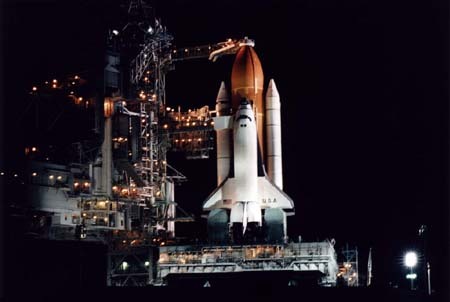 While the shuttle was still in orbit, some concerned engineers suspected damage, but NASA managers limited the investigation on the grounds that little could be done even if problems were found. As a research mission, the crew was kept busy 24 hours a day performing various chores involved with science experiments. Experiments in the SPACEHAB RDM included nine commercial payloads involving 21separate investigations, four payloads for the European Space Agency with 14 investigations, one payload/investigation for ISS Risk Mitigation and 18 payloads supporting 23 investigations for NASA's Office of Biological and Physical Research (OBPR). In the physical sciences, three studies inside a large, rugged chamber examined the physics of combustion, soot production and fire quenching processes in microgravity. These experiments provided new insights into combustion and fire suppression that cannot be gained on Earth. An experiment that compresses granular materials in the absence of gravity furthered our understanding of construction techniques. This information can help engineers provide stronger foundations for structures in areas where earthquakes, floods and landslides are common. Another experiment evaluated the formation of zeolite crystals, which can speed the chemical reactions that are the basis for chemical processes used in refining, biomedical and other areas. Yet another experiment used pressurized liquid xenon to mimic the behaviors of more complex fluids such as blood flowing through capillaries. In the area of biological applications, two separate OBPR experiments allowed different types of cell cultures to grow together in weightlessness to elevate their development of enhanced genetic characteristics -- one use was to combat prostate cancer, the other to improve crop yield. Another experiment evaluated the commercial usefulness of plant products grown in space. A facility for forming protein crystals more purely and with fewer flaws than is possible on Earth may lead to a drug designed for specific diseases with fewer side effects. A commercially sponsored facility housed two experiments to grow protein crystals to study possible therapies against the factors that cause cancers to spread and bone cancer to inflict intense pain on its sufferers. A third experiment looked at developing a new technique of encapsulating anti-cancer drugs to improve their efficiency. Other studies focused on changes, due to space flight, in the cardiovascular and musculoskeletal systems; in the systems which sense and respond to gravity; and in the capability of organisms to respond to stress and maintain normal function. NASA also tested a new technology to recycle water prior to installing a device to recycle water permanently aboard the International Space Station. The European Space Agency (ESA), through a contract with SPACEHAB, flew an important payload focused on astronaut health, biological function and basic physical phenomena in space. These experiments addressed different aspects of many of the same phenomena that NASA is interested in, providing a more thorough description of the effects of space flight, often in the same subjects or specimens. ESA performed seven in-flight experiments, and one ground-based, on the cardiopulmonary changes that occur in astronauts. Additional ESA biological investigations examined bone formation and maintenance; immune system functioning; connective tissue growth and repair; and bacterial and yeast cell responses to the stresses of space flight. A special facility grew large, well-ordered protein and virus crystals that were expected to lead to improved drug designs. Another studied the physical characteristics of bubbles and droplets in the absence of the effects of Earth’s gravity. SPACEHAB was also making it possible for universities, companies and other government agencies to do important research in space without having to provide their own spacecraft. The Canadian Space Agency sponsored three bone-growth experiments, and was collaborating with ESA on two others. The German Space Agency measured the development of the gravity-sensing organs of fish in the absence of gravity. A university was growing ultra-pure protein crystals for drug research. And another university was testing a navigation system for future satellites. The U.S. Air Force was conducting a communications experiment. Students from six schools in Australia, China, Israel, Japan, Liechtenstein and the United States were probing the effects of space flight on spiders, silkworms, inorganic crystals, fish, bees and ants, respectively. There were also experiments in Columbia's payload bay, including three attached to the top of the RDM: the Combined Two-Phase Loop Experiment (COM2PLEX), Miniature Satellite Threat Reporting System (MSTRS) and Star Navigation (STARNAV). 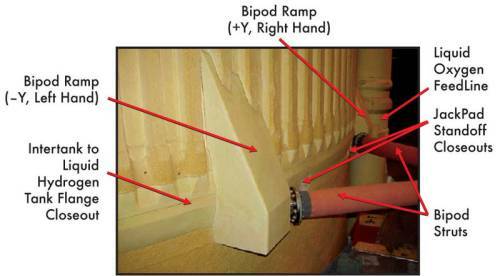 There were six payloads/experiments on the Hitchhiker pallet -- the Fast Reaction Experiments Enabling Science, Technology, Applications and Research (FREESTAR), which was mounted on a bridge-like structure spanning the width of the payload bay. These six investigations looked outward to the Sun, downward at Earth's atmosphere and inward into the physics of fluid phenomena, as well as tested technology for space communications. FREESTAR held the Critical Viscosity of Xenon- 2 (CVX-2), Low Power Transceiver (LPT), Mediterranean Israeli Dust Experiment (MEIDEX), Space Experiment Module (SEM- 14), Solar Constant Experiment-3 (SOLCON-3) and Shuttle Ozone Limb Sounding Experiment (SOLSE-2). The SEM was made up of 11 separate student experiments from schools across the U.S. and was the 14th flight of a SEM on the space shuttle. Additional secondary payloads were the Shuttle Ionospheric Modification with Pulsed Local Exhaust Experiment (SIMPLEX) and Ram Burn Observation (RAMBO). 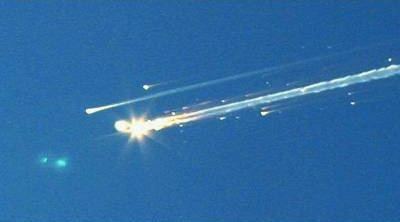 During the debris recovery activities, some of the Columbia experiments were found. Scientists have indicated valuable science will still be produced. Much of the scientific data was transmitted to experimenters on the ground during the flight. PERSONAL DATA: Born July 12, 1957, in Amarillo, Texas. Died on February 1, 2003 over the southern United States when Space Shuttle Columbia and the crew perished during entry, 16 minutes prior to scheduled landing. He is survived by his wife and their two children. He enjoyed singing, water and snow skiing, cycling, and spending time with his family. EDUCATION: Graduated from Amarillo High School, Amarillo, Texas, in 1975. Received a bachelor of science degree in mechanical engineering from Texas Tech University in 1980, and a master of science degree in mechanical engineering from California State University, Fresno, in 1990. ORGANIZATIONS: Member of the Society of Experimental Test Pilots, Tau Beta Pi, Air Force Association, and the Texas Tech Ex-Students Association. AWARDS: Posthumously awarded the Congressional Space Medal of Honor, the NASA Space Flight Medal, the NASA Distinguished Service Medal, and the Defense Distinguished Service Medal (DDSM. SPECIAL HONORS: Distinguished Graduate of AFROTC, Undergraduate Pilot Training, Squadron Officers School, F-4 Instructor School, and USAF Test Pilot School; Outstanding Engineering Student Award, Texas Tech University, 1980; F-4 Tactical Air Command Instructor Pilot of the Year (1987); named a 1997 Distinguished Engineer of the College of Engineering, Texas Tech University. Military decorations include the Meritorious Service Medal with two Oak Leaf Clusters, the Aerial Achievement Medal, the Air Force Commendation Medal, the National Defense Service Medal, two NASA Group Achievement Awards for work on the X-38 Development Team and the Orbiter Upgrade Definition Team. EXPERIENCE: After graduation from Texas Tech University in May 1980, Husband was commissioned a second lieutenant in the USAF and attended pilot training at Vance Air Force Base (AFB), Oklahoma. He graduated in October 1981, and was assigned to F-4 training at Homestead AFB, Florida. After completion of F-4 training in September 1982, Husband was assigned to Moody AFB, Georgia flying the F-4E. From September to November 1985, he attended F-4 Instructor School at Homestead AFB and was assigned as an F-4E instructor pilot and academic instructor at George AFB, California in December 1985. In December 1987, Husband was assigned to Edwards AFB, California, where he attended the USAF Test Pilot School. Upon completion of Test Pilot School, Husband served as a test pilot flying the F-4 and all five models of the F-15. In the F-15 Combined Test Force, Husband was the program manager for the Pratt & Whitney F100-PW-229 increased performance engine, and also served as the F-15 Aerial Demonstration Pilot. In June 1992, Husband was assigned to the Aircraft and Armament Evaluation Establishment at Boscombe Down, England, as an exchange test pilot with the Royal Air Force. At Boscombe Down, Husband was the Tornado GR1 and GR4 Project Pilot and served as a test pilot in the Hawk, Hunter, Buccaneer, Jet Provost, Tucano, and Harvard. He logged over 3800 hours of flight time in more than 40 different types of aircraft. NASA EXPERIENCE: Husband was selected as an astronaut candidate by NASA in December 1994. He reported to the Johnson Space Center in March 1995 to begin a year of training and evaluation. Upon completion of training, he was named the Astronaut Office representative for Advanced Projects at Johnson Space Center, working on Space Shuttle Upgrades, the Crew Return Vehicle (CRV) and studies to return to the Moon and travel to Mars. He also served as Chief of Safety for the Astronaut Office. 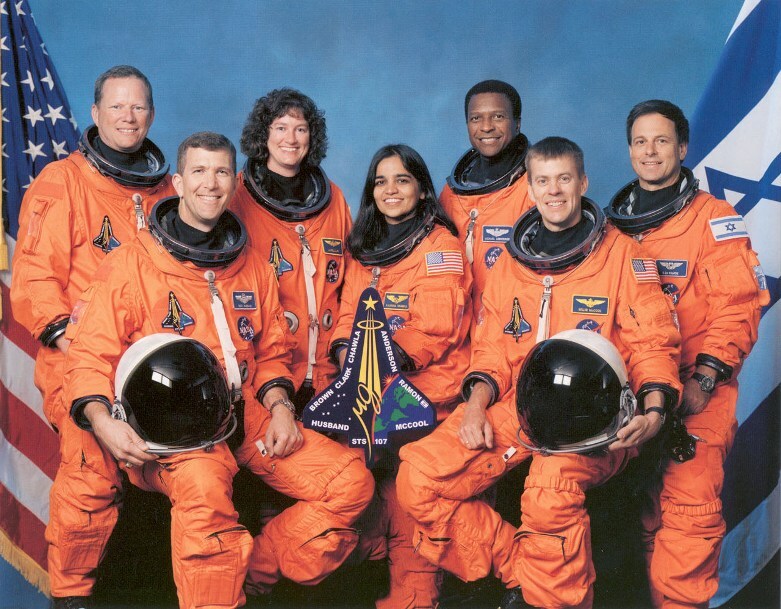 Husband was pilot on STS-96 (1999) and crew commander on STS-107 (2003), logging 24 days, 51 hours and 33 minutes in space. SPACE FLIGHT EXPERIENCE: STS-96 Discovery (May 27 to June 6, 1999) was a 10-day mission during which the crew performed the first docking with the International Space Station and delivered 4 tons of logistics and supplies in preparation for the arrival of the first crew to live on the station early next year. The mission was accomplished in 153 Earth orbits, traveling 4 million miles in 9 days, 19 hours and 13 minutes. PERSONAL DATA: Born September 23, 1961 in San Diego, California. Died on February 1, 2003 over the southern United States when Space Shuttle Columbia and the crew perished during entry, 16 minutes prior to scheduled landing. He is survived by his wife and children. He enjoyed running, mountain biking, back country hiking/camping, swimming, playing guitar, chess. EDUCATION: Graduated from Coronado High School, Lubbock, Texas, in 1979; received a bachelor of science degree in applied science from the US Naval Academy in 1983, a master of science degree in computer science from the University of Maryland in 1985, and a master of science degree in aeronautical engineering from the US Naval Postgraduate School in 1992. ORGANIZATIONS: U.S. Naval Academy Alumni Association. SPECIAL HONORS: Eagle Scout; graduated second of 1,083 in the Class of 1983 at the US Naval Academy; presented “Outstanding Student” and “Best DT-II Thesis” awards as graduate of U.S. Naval Test Pilot School, Class 101; awarded Navy Commendation Medals (2), Navy Achievement Medals (2), and various other service awards. EXPERIENCE: McCool completed flight training in August 1986 and was assigned to Tactical Electronic Warfare Squadron 129 at Whidbey Island, Washington, for initial EA-6B Prowler training. His first operational tour was with Tactical Electronic Warfare Squadron 133, where he made two deployments aboard USS CORAL SEA (CV-43) to the Mediterranean Sea, and received designation as a wing qualified landing signal officer (LSO). In November 1989, he was selected for the Naval Postgraduate School/Test Pilot School (TPS) Cooperative Education Program. After graduating from TPS in June 1992, he worked as TA-4J and EA-6B test pilot in Flight Systems Department of Strike Aircraft Test Directorate at Patuxent River, Maryland. He was responsible for the management and conduct of a wide variety of projects, ranging from airframe fatigue life studies to numerous avionics upgrades. His primary efforts, however, were dedicated to flight test of the Advanced Capability (ADVCAP) EA-6B. Following his Patuxent River tour, McCool returned to Whidbey Island, and was assigned to Tactical Electronic Warfare Squadron 132 aboard USS ENTERPRISE (CVN-65). He served as Administrative and Operations Officer with the squadron through their work-up cycle, receiving notice of NASA selection while embarked on ENTERPRISE for her final pre-deployment at-sea period. McCool accumulated over 2,800 hours flight experience in 24 aircraft and over 400 carrier arrestments. NASA EXPERIENCE: Selected by NASA in April 1996, McCool reported to the Johnson Space Center in August 1996. He completed two years of training and evaluation, and was qualified for flight assignment as a pilot. Initially assigned to the Computer Support Branch, McCool also served as Technical Assistant to the Director of Flight Crew Operations, and worked Shuttle cockpit upgrade issues for the Astronaut Office. 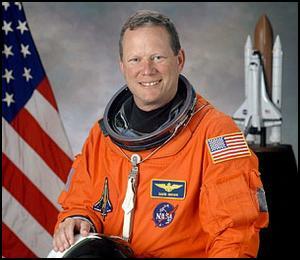 He was the pilot on STS-107, logging 15 days, 22 hours and 20 minutes in space. 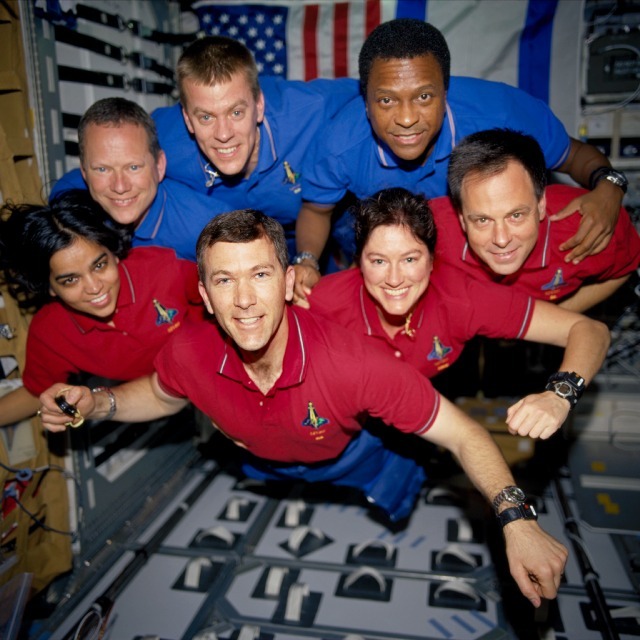 SPACE FLIGHT EXPERIENCE: STS-107 Columbia (Jan 16 to Feb 1, 2003). The 16-day flight was a dedicated science and research mission. Working 24 hours a day, in two alternating shifts, the crew successfully conducted approximately 80 experiments. The STS-107 mission ended abruptly on February 1, 2003 when Space Shuttle Columbia and the crew perished during entry, 16 minutes before scheduled landing. NASA EXPERIENCE: Selected by NASA in December 1994, Kalpana Chawla reported to the Johnson Space Center in March 1995 as an astronaut candidate in the 15th Group of Astronauts. After completing a year of training and evaluation, she was assigned as crew representative to work technical issues for the Astronaut Office EVA/Robotics and Computer Branches. Her assignments included work on development of Robotic Situational Awareness Displays and testing space shuttle control software in the Shuttle Avionics Integration Laboratory. 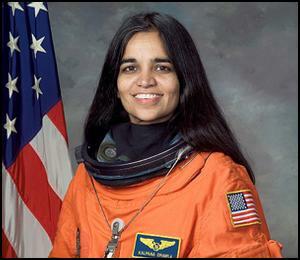 In November, 1996, Kalpana Chawla was assigned as mission specialist and prime robotic arm operator on STS-87. In January 1998, she was assigned as crew representative for shuttle and station flight crew equipment, and subsequently served as lead for Astronaut Office’s Crew Systems and Habitability section. 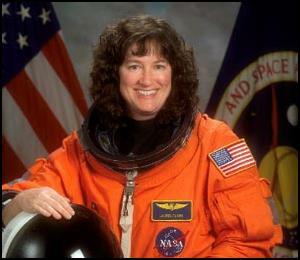 She flew on STS-87 (1997) and STS-107 (2003), logging 30 days, 14 hours and 54 minutes in space. NASA EXPERIENCE: Selected by NASA in April 1996, Brown reported to the Johnson Space Center in August 1996. He completed two years of training and evaluation, and was qualified for flight assignment as a mission specialist. He was initially assigned to support payload development for the International Space Station, followed by the astronaut support team responsible for orbiter cockpit setup, crew strap-in, and landing recovery. 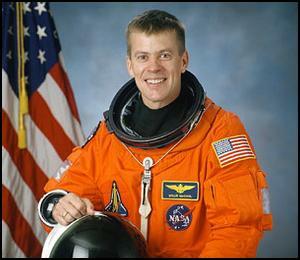 Dave Brown flew aboard STS-107, logging 15 days, 22 hours, and 20 minutes in space. . PERSONAL DATA: Born December 25, 1959, in Plattsburgh, New York, but considered Spokane, Washington, to be his hometown. Died on February 1, 2003 over the southern United States when Space Shuttle Columbia and the crew perished during entry, 16 minutes prior to scheduled landing. He is survived by his wife and children. Michael enjoyed photography, chess, computers, and tennis. EXPERIENCE: Anderson graduated form the University of Washington in 1981 and was commissioned a second lieutenant. After completing a year of technical training at Keesler AFB Mississippi he was assigned to Randolph AFB Texas. At Randolph he served as Chief of Communication Maintenance for the 2015 Communication Squadron and later as Director of Information System Maintenance for the 1920 Information System Group. In 1986 he was selected to attend Undergraduate Pilot Training at Vance AFB, Oklahoma. Upon graduation he was assigned to the 2nd Airborne Command and Control Squadron, Offutt AFB Nebraska as an EC 135 pilot, flying the Strategic Air Commands airborne command post code-named “Looking Glass”. From January 1991 to September 1992 he served as an aircraft commander and instructor pilot in the 920th Air Refueling Squadron, Wurtsmith AFB Michigan. From September 1992 to February 1995 he was assigned as an instructor pilot and tactics officer in the 380 Air Refueling Wing, Plattsburgh AFB New York. Anderson logged over 3000 hours in various models of the KC-135 and the T-38A aircraft. NASA EXPERIENCE: Selected by NASA in December 1994, Anderson reported to the Johnson Space Center in March 1995. He completed a year of training and evaluation, and was qualified for flight crew assignment as a mission specialist. Anderson was initially assigned technical duties in the Flight Support Branch of the Astronaut Office. 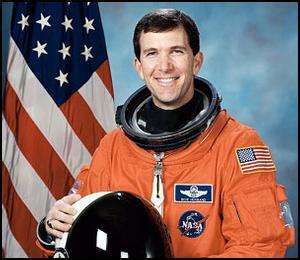 Anderson flew on STS-89 and STS-107, logging over 593 hours in space. SPACE FLIGHT EXPERIENCE: STS-89 Endeavour (January 22-31, 1998), was the eighth Shuttle-Mir docking mission during which the crew transferred more than 9,000 pounds of scientific equipment, logistical hardware and water from the Space Shuttle to Mir. In the fifth and last exchange of a U.S. astronaut, STS-89 delivered Andy Thomas to Mir and returned with David Wolf. Mission duration was 8 days, 19 hours and 47 seconds, traveling 3.6 million miles in 138 orbits of the Earth. 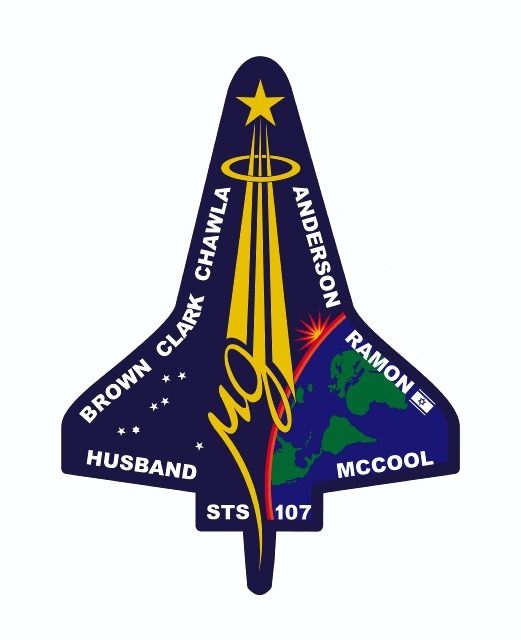 STS-107 Columbia (January 16 to February 1, 2003). The 16-day flight was a dedicated science and research mission. Working 24 hours a day, in two alternating shifts, the crew successfully conducted approximately 80 experiments. The STS-107 mission ended abruptly on February 1, 2003 when Space Shuttle Columbia and the crew perished during entry, 16 minutes before scheduled landing. Mission duration was 15 days, 22 hours and 20 minutes. PERSONAL DATA: Born in Iowa, but considered Racine, Wisconsin, to be her hometown. Died on February 1, 2003 over the southern United States when Space Shuttle Columbia and the crew perished during entry, 16 minutes prior to scheduled landing. She is survived by her husband and their child. Laurel enjoyed scuba diving, hiking, camping, biking, parachuting, flying, traveling. EDUCATION: Graduated from William Horlick High School, Racine Wisconsin in 1979; received bachelor of science degree in zoology from the University of Wisconsin-Madison in 1983 and doctorate in medicine from the same school in 1987. ORGANIZATIONS: Aerospace Medical Association, Society of U.S. Naval Flight Surgeons. AWARDS: Posthumously awarded the Congressional Space Medal of Honor, the NASA Space Flight Medal, the NASA Distinguished Service Medal, and the Defense Distinguished Service Medal (DDSM). Recipient of Navy Commendation Medals (3); National Defense Medal, and Overseas Service Ribbon. EXPERIENCE: During medical school she did active duty training with the Diving Medicine Department at the Naval Experimental Diving Unit in March 1987. After completing medical school, Dr. Clark underwent postgraduate Medical education in Pediatrics from 1987-1988 at Naval Hospital Bethesda, Maryland. The following year she completed Navy undersea medical officer training at the Naval Undersea Medical Institute in Groton Connecticut and diving medical officer training at the Naval Diving and Salvage Training Center in Panama City, Florida, and was designated a Radiation Health Officer and Undersea Medical Officer. She was then assigned as the Submarine Squadron Fourteen Medical Department Head in Holy Loch Scotland. During that assignment she dove with US Navy divers and Naval Special Warfare Unit Two Seals and performed numerous medical evacuations from US submarines. After two years of operational experience she was designated as a Naval Submarine Medical Officer and Diving Medical Officer. She underwent 6 months of aeromedical training at the Naval Aerospace Medical Institute in Pensacola, Florida and was designated as a Naval Flight Surgeon. She was stationed at MCAS Yuma, Arizona and assigned as Flight Surgeon for a Marine Corps AV-8B Night Attack Harrier Squadron (VMA 211). She made numerous deployments, including one overseas to the Western Pacific, practiced medicine in austere environments, and flew on multiple aircraft. Her squadron won the Marine Attack Squadron of the year for its successful deployment. She was then assigned as the Group Flight Surgeon for the Marine Aircraft Group (MAG 13). Prior to her selection as an astronaut candidate she served as a Flight Surgeon for the Naval Flight Officer advanced training squadron (VT-86) in Pensacola, Florida. Clark was Board Certified by the National Board of Medical Examiners and held a Wisconsin Medical License. Her military qualifications included Radiation Health Officer, Undersea Medical Officer, Diving Medical Officer, Submarine Medical Officer, and Naval Flight Surgeon. She was a Basic Life Support Instructor, Advanced Cardiac Life Support Provider, Advanced Trauma Life Support Provider, and Hyperbaric Chamber Advisor. 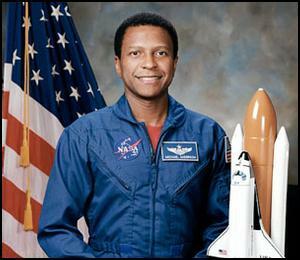 NASA EXPERIENCE: Selected by NASA in April 1996, Dr. Clark reported to the Johnson Space Center in August 1996. After completing two years of training and evaluation, she was qualified for flight assignment as a mission specialist. From July 1997 to August 2000 Dr. Clark worked in the Astronaut Office Payloads/Habitability Branch. Dr. Clark flew aboard STS-107, logging 15 days, 22 hours, and 20 minutes in space. PERSONAL DATA: Born June 20,1954 in Tel Aviv, Israel. Died on February 1, 2003 over the southern United States when Space Shuttle Columbia and the crew perished during entry, 16 minutes prior to scheduled landing. He is survived by his wife Rona and their four children. He enjoyed snow skiing, squash. EDUCATION: Graduated from High School in 1972; bachelor of science degree in electronics and computer engineering from the University of Tel Aviv, Israel, in 1987. AWARDS: Posthumously awarded the Congressional Space Medal of Honor, the NASA Space Flight Medal, and the Distinguished Public Service Medal. SPECIAL HONORS: Yom Kippur War (1973); Operation Peace for Galilee (1982); F-16 1,000 Flight Hours (1992). 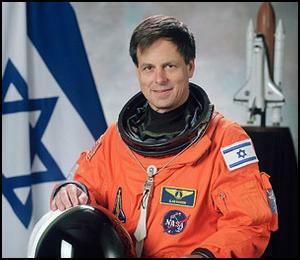 EXPERIENCE: In 1974, Ramon graduated as a fighter pilot from the Israel Air Force (IAF) Flight School. From 1974-1976 he participated in A-4 Basic Training and Operations. 1976-1980 was spent in Mirage III-C training and operations. In 1980, as one of the IAF’s establishment team of the first F-16 Squadron in Israel, he attended the F-16 Training Course at Hill Air Force Base, Utah. From 1981-1983, he served as the Deputy Squadron Commander B, F-16 Squadron. From 1983-1987, he attended the University of Tel Aviv. From 1988-1990, he served as Deputy Squadron Commander A, F-4 Phantom Squadron. During 1990, he attended the Squadron Commanders Course. From 1990-1992, he served as Squadron Commander, F-16 Squadron. From 1992-1994, he was Head of the Aircraft Branch in the Operations Requirement Department. In 1994, he was promoted to the rank of Colonel and assigned as Head of the Department of Operational Requirement for Weapon Development and Acquisition. He stayed at this post until 1998. NASA EXPERIENCE: In 1997, Colonel Ramon was selected as a Payload Specialist. He was designated to train as prime for a Space Shuttle mission with a payload that included a multispectral camera for recording desert aerosol. In July 1998, he reported for training at the Johnson Space Center, Houston, where he trained until 2003. He flew aboard STS-107, logging 15 days, 22 hours and 20 minutes in space.